*Valid in-stores for limited time only. 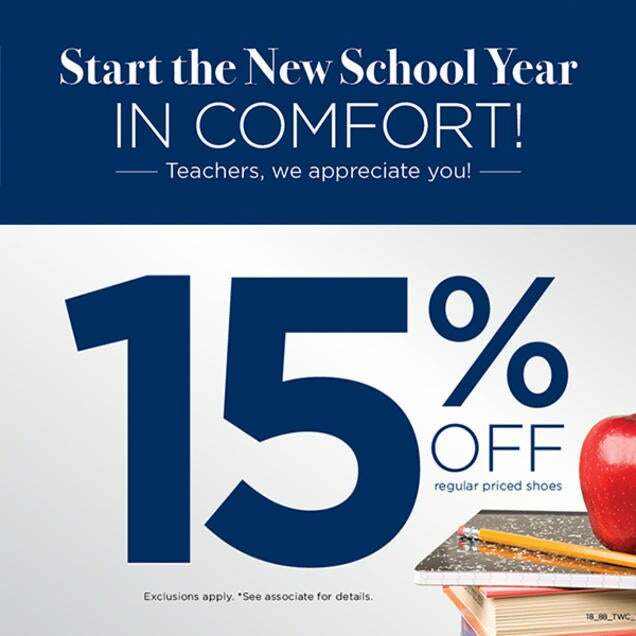 Excludes sandals, sale and clearance. Some restrictions may apply. While supplies last. Offers may not be combined. Offer details may vary and may not be available at all retail locations. Visit retail location for full details. End date may not reflect actual ending of promotion.